The Southern General Practice Education Fund offers grants to provide GPs and GP registrars across Victoria and the south-east region of South Australia with professional development in education and training. Roisin plans to use the funding later this year to undertake a Graduate Certificate in Clinical Teaching through the “EXCITE”(Excellence in Clinical Teaching) program at the University of Melbourne in addition to completing a short course in expedition and wilderness remote medicine. 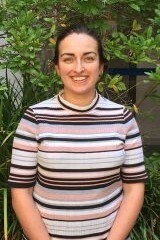 Currently she is undertaking research with A/Prof Lena Sanci exploring the experiences of General Practitioners participating in the Victorian secondary school-based health service initiative program as well as assisting in the department’s medical student educational activities.